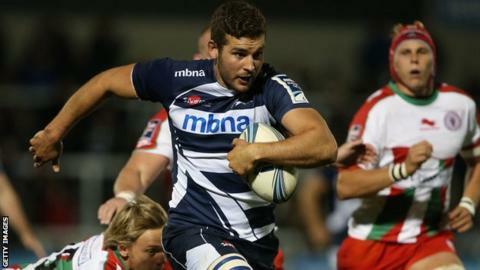 Five players have agreed new contracts with Sale Sharks. Prop Vadim Cobilas, flanker Mark Easter and centre pair Johnny Leota and Mark Jennings have all committed to two-year deals with the Premiership club. Russian second-rower Andrei Ostrikov has signed a one-year extension. "We've got a happy ship and the guys want to be around and to be an important part of it," director of rugby Steve Diamond told the club's official website. "We're doing well fitness wise, there's a competitive edge to selection which means no-one is secure of their place. "We're not into rotation but we are into looking after players so there's a really positive feel about the place and hopefully we can kick on from here." Ostrikov, 26, Cobilas, 30, Easter ,31, and Leota, 29, all joined Sale in 2011 while 20-year-old Jennings came through the club's academy system.